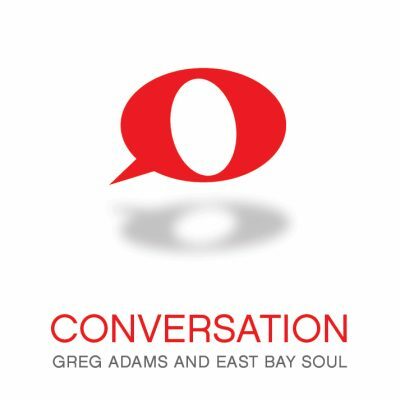 For booking information or press inquiries – please contact East Bay Soul’s management via email or phone. If you wish to ask a general question, please use the Email EBS contact link. Thank you. Had fabulous time. You guys may not quite realize how much joy fans like I get listening to your music. I sang along (to myself) with The Devil You Know. He skipped the “ouch” he gives on the CD version. Was slightly disappointed that Lee didn’t have his trombone! Will look forward to seeing you again when you are in the Reading/Philly area or Orlando as we have a winter home there. Good luck in your endeavors and get 3.0 out soon! Keeping Funk Alive! Greg brings it with his masterful arrangements and his playing that keeps that “O’town Funk” alive and kicking! Obviously, a great bunch of musicians, who play what Mr. Adams puts down and do it “Funkliciously”!! Greg, from last night, you’re a class act. I was the fellow that approached you at Bldg.24 Live well before the show. It meant a lot to me that you had the gal come over to me to apologize for your hurried state. By no means did you need to apologize, but it just reflects on your kindness. Again, GREAT SHOW, and if I wasn’t a True Funk Soldier before last night, I definitely I’m now!!!!!! Great show in Denver. Funk and groove ensued. If these guys are in your area make sure and check them out!!! Thank you Greg and band! FABULOUS show at Oakland Yoshi’s Thursday, 7/10! I already can’t wait for you to come back again. Greg, you are a hell of a band leader! You and your band have captured the spirit of the ’70’s east bay sound and still sound fresh and innovative. Love it, love it, love it! PLEASE keep doing it! God bless EBS as you travel to your next destination… Love kisses and Funk from an East Bay Funk Soldierette…. Wichita was served proper… Thanks for bringing the hometown flava !!!!! As ALWAYS a gigantic THANK YOU for a truly FUNKED out show last night!!! You guys are THE best when it comes to soul, funk AND jazz!!!! If we didn’t already have plans, we’d be there again tonite! Have another FUNKtastic show tonite!!! LOVE YOU GUYS LOTZ!!! !